Explore advanced ways to combat the data quality issues that plague today's businesses. 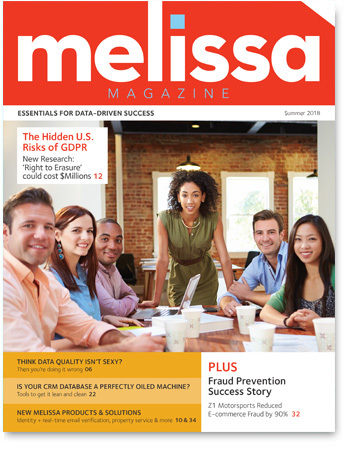 The issue's feature article, The Hidden U.S. Risks of GDPR, addresses the E.U. General Data Protection Regulation (GDPR) and what American companies don't know about their data will cost millions. Read our exclusive research that shows companies are still extremely underprepared, and most organizations have a false sense of security, assuming their current Single Customer View (SCV) platforms will be adequate for compliance. Solutions for ID verification, property services & more!